In a cocktail shaker, add all the ingredients together. Revolve with a spoon to help dissolve the sugar cane syrup. Add the amount of ice desired before closing and shaking. Serve in a large cocktail glass and garnish with a slice of lemon. You can add a bit more of rum if you would like a stronger taste. The sugar cane syrup can be purchased in a specialty liquor store or over the internet. Right now, we’re all preparing for the most important sporting event of the year. Since it’s scheduled to take place in Brazil, you can add a Brazilian touch to your fiestas with family and friends for a truly unique experience. 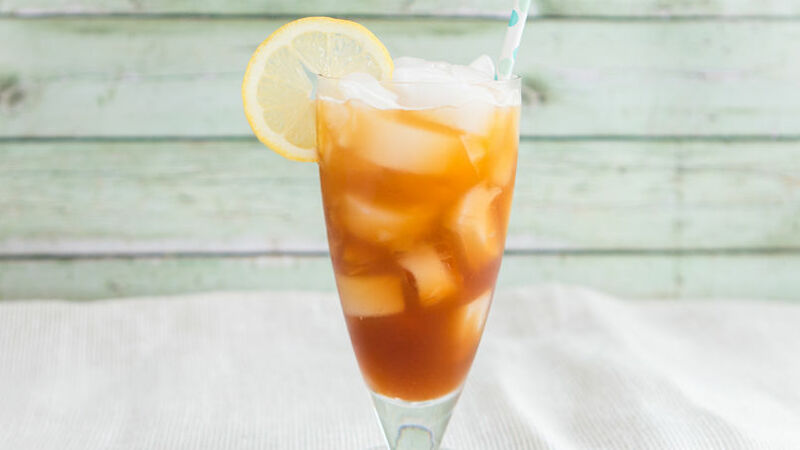 I know you’ll simply love this recipe–I can already imagine my own spouse disfrutando a match alongside this refrescante drink. Salud!